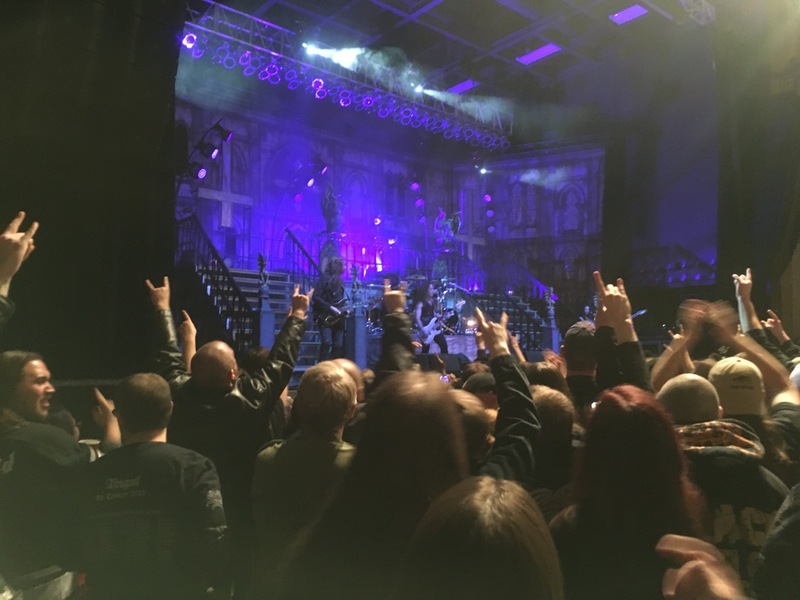 KNAC.COM - Reviews - KING DIAMOND Live In Pittsburgh, PA With Photos! 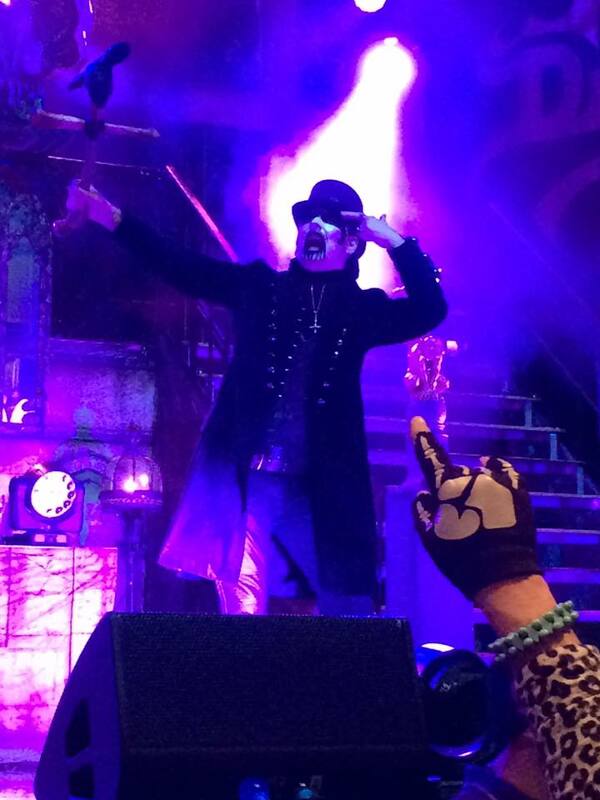 KING DIAMOND Live In Pittsburgh, PA With Photos! 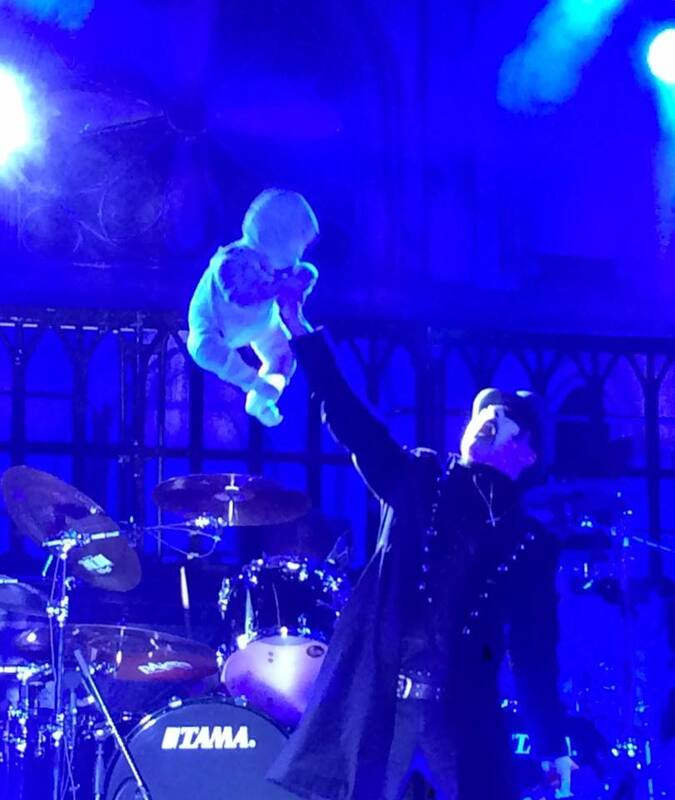 Classic metal (leaning towards the dark and heavy with complex and driving rhythms, progressive elements and classical influences) plus (+) concept albums/storytelling, imagery and theatrics, equals (=) the unique entity known as KING DIAMOND - a band that is built for and excels in the live arena. 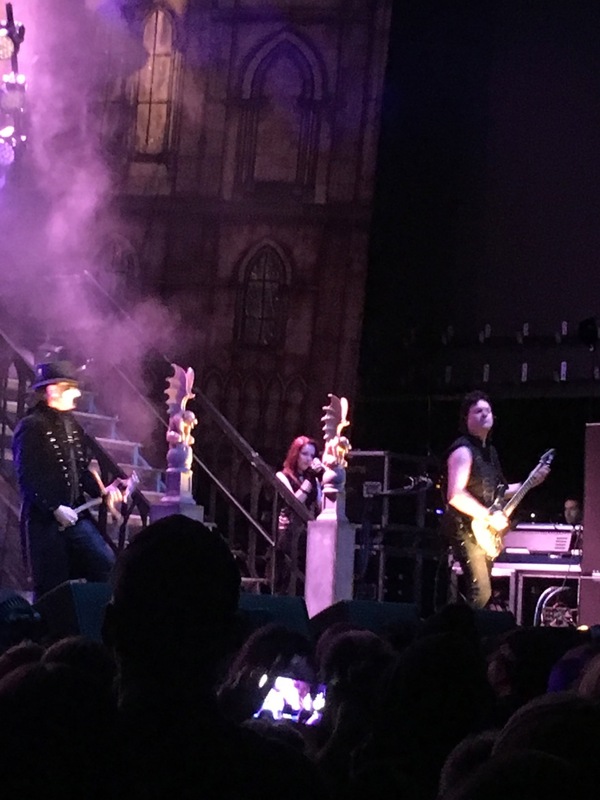 After a set of modern retro early SABBATH-style metal provided by openers ELECTRIC CITIZEN, the near-capacity crowd went wild as a night of KING DIAMOND's theatrical classic metal was underway with "Welcome Home" - and a little help from Grandma! 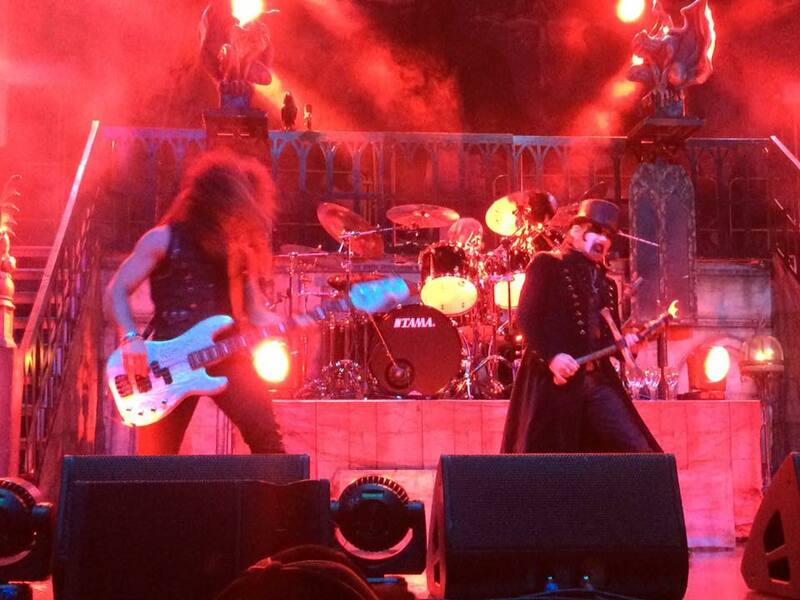 It's amazing how well KING DIAMOND's music (and this style in general) comes across in a live setting. It's aggressive and fast at times, but breathes enough that it never gets to the point where the audience can't follow everything clearly. Of course, having a band of top-level musicians doesn't hurt. 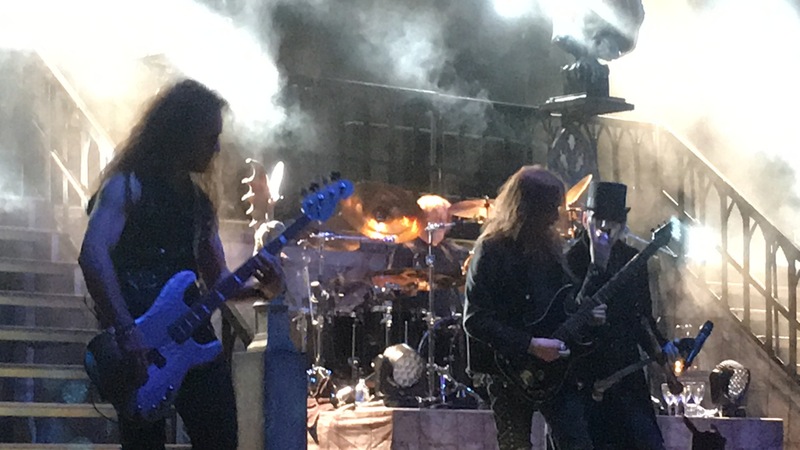 The rhythm section of Matt Thompson (drums) and Pontus Egberg (bass) was precise and pounding, and Andy LaRocque (guitar) and Mike Wead (guitar) provided the kind of melodic interplay and sophistication that are hallmarks of classic metal; their playing was mature and tasteful throughout. 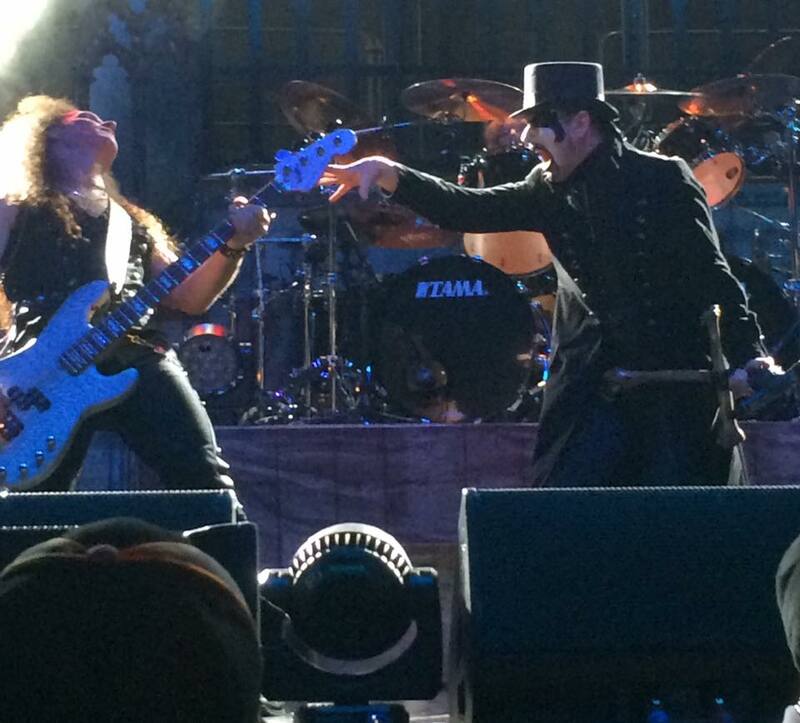 Both are admirable guitarists, but longtime KING DIAMOND sideman/cowriter Andy LaRocque deserves a special mention. He can be described as a dark-sounding Michael Schenker with a judiciously applied bag of tricks (tremolo work, bursts of speed and the odd two-handed lick) that keep listeners guessing while never interfering with his consistently memorable themes. The judicious use of acoustic guitars was alsowas well-done and helped to provide a nice dynamic contrast (you have arrived when two Druids are on hand to haul your acoustics on and off stage as needed (thanks for the observation Greg!). 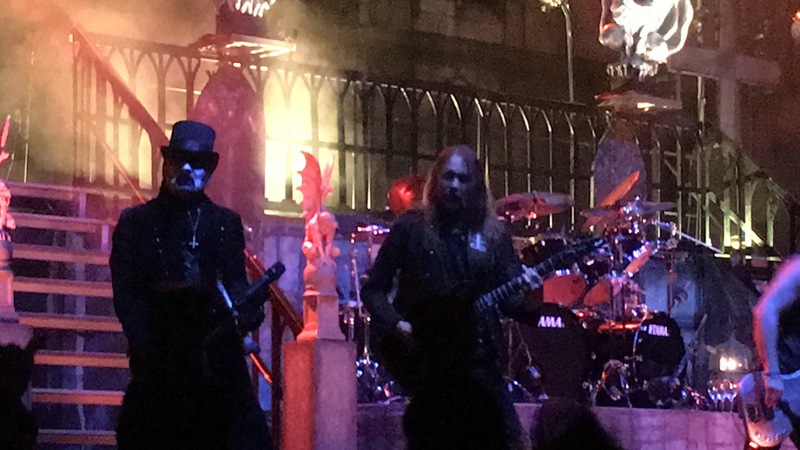 As for KING DIAMOND (aka Kim Bendix Petersen) - whose voice is certainly an acquired taste for many - his falsetto wail and lower-range spoken word voice were both in good shape. Based on his performance, it's hard to believe that he went through a near-death heart scare within the past several years. Just goes to show that for a vocalist, quitting smoking and a good health regimen can really make a difference. 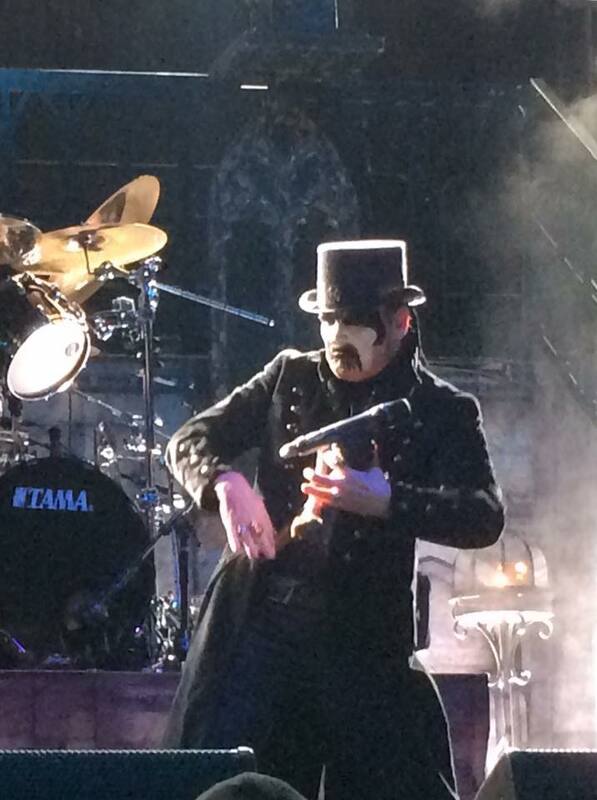 All of KING DIAMOND's signature creepy stage moves were in evidence as he prowled about the two-level stage set - particularly "air guitaring" along on his ever present "crossed bones" microphone holder. 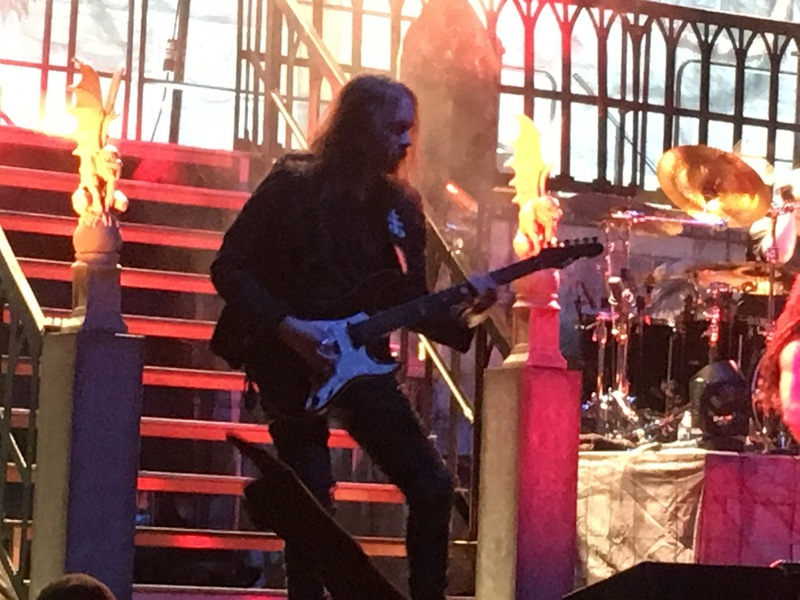 The first half of the set was a collection of favorite tracks that were paced well and varied enough to hold the audience's attention - although with such a dedicated fan base that was hardly an issue - and the band never missed a note. 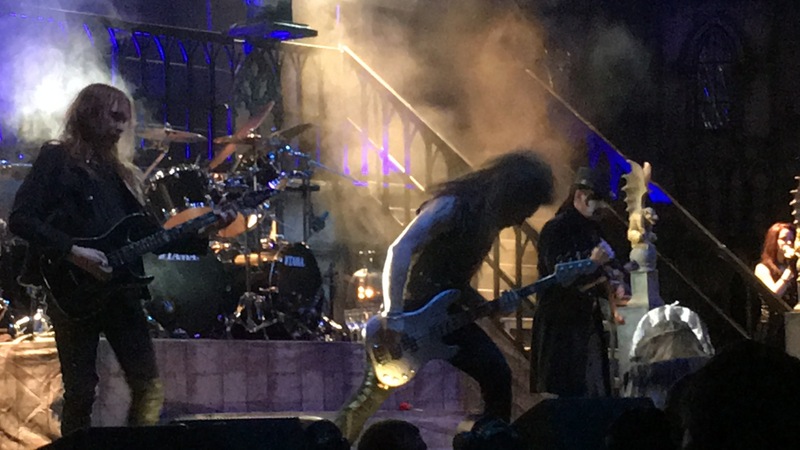 However, things really got underway with the evening's main event, KING DIAMOND's classic concept album Abigail in its entirety. 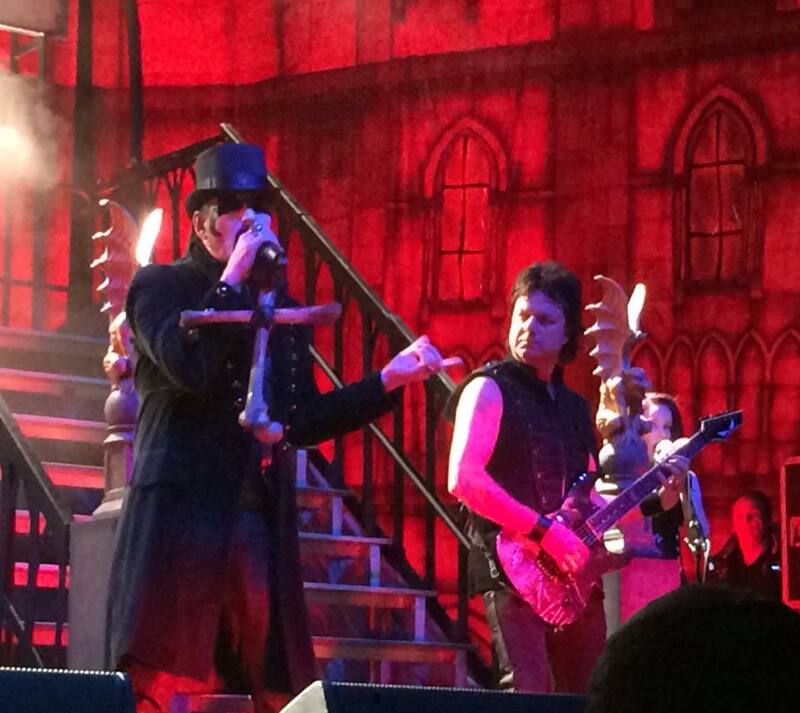 As mentioned earlier,the stage show and theatrics were in full force; the flawlessly executed lighting, backdrops, props and staging were used to enhance the music as numerous vignettes (most with Miriam/Abigail creepily screaming, wailing, writhing and dancing her way around the stage) were woven throughout to illustrate the story and enhance the music. "Enhance" is the operative term, because without quality music and writing to back it up, a lot of the theatrics would fall flat. 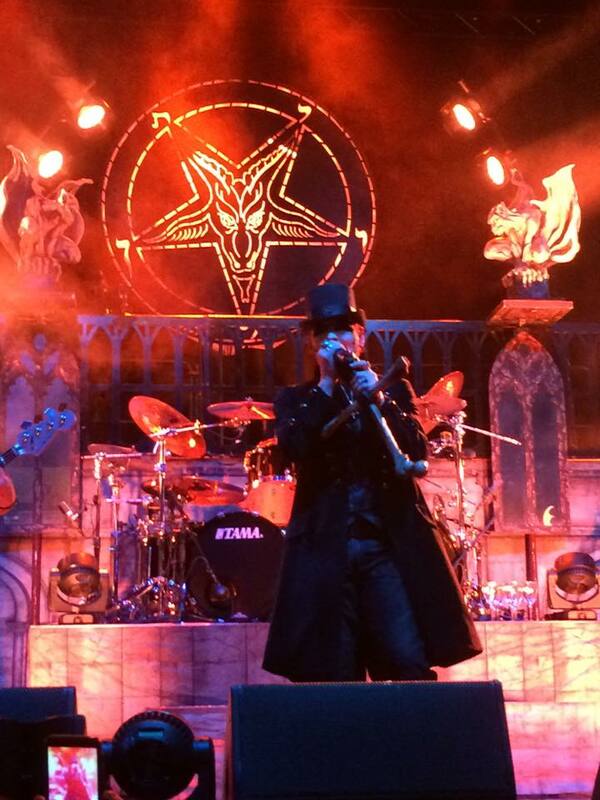 Could many average fans do without the satanic imagery, withcraft and other dark and macabre elements? Probably. But these are KING DIAMOND's artistic choices, and they are part of the package as a whole; at this point, it's basically the stuff of metal legend. Also, it's relatively easy to overlook these elements and focus on the quality of the music and players if preferred - particularly on CD. The music and writing stand on their own. 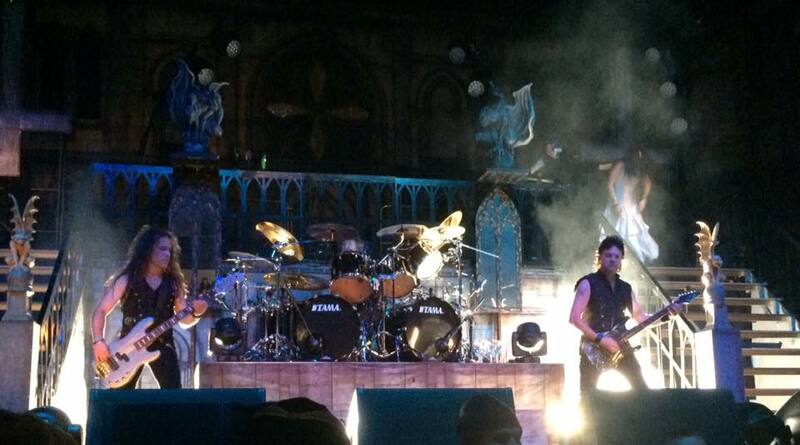 The KING DIAMOND sound crew also deserves a nod for doing such a nice job of keeping the sound clear and under control. The low end got a bit boomy at times, but that's a small complaint in a venue with a high ceiling and a lot of concrete and steel. 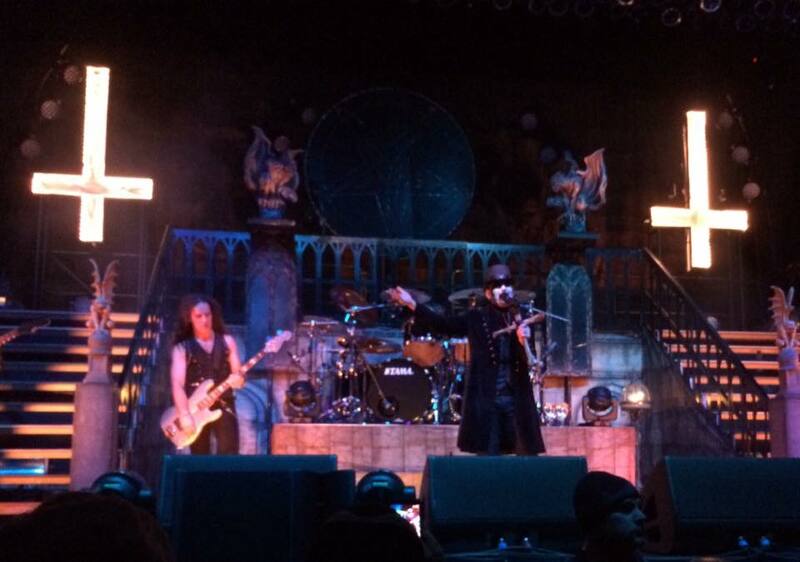 All-in-all, a memorable night of theatrical classic metal with KING DIAMOND, Abigail - and lest we forget - Grandma. Would anyone care for a cup of tea?